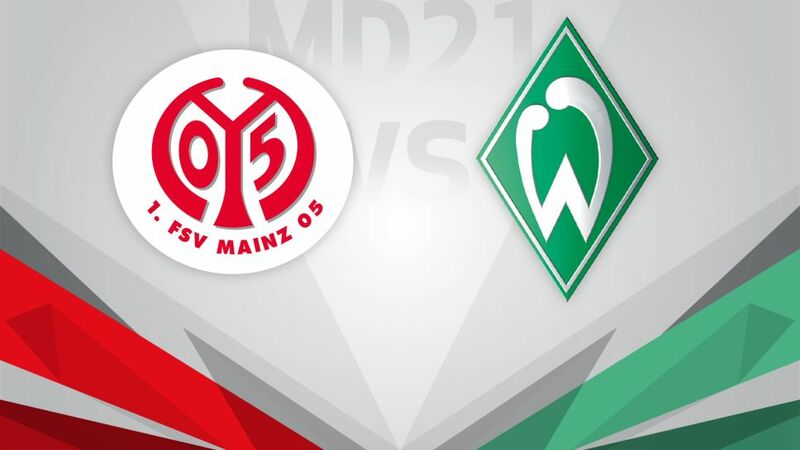 SV Werder Bremen go in search of some much-needed points as they visit 1. FSV Mainz 05 on Saturday afternoon (kick-off 15:30CET/14:30GMT). On the cusp of the relegation zone is a place no club wants to find themselves, and with Werder Bremen yet to score any points in 2017 they will need to score some goals and fast if they are to end this winless run. Their 1-0 defeat to Borussia Mönchengladbach on Matchday 20 meant they have now endured four straight losses, a record last seen at Werder in 1980. Coach Alexander Nouri will be desperate to end this run and fast with the clock ticking on this season. With their first win in five games, Mainz extended the gap between themselves and the relegation zone to nine points. The combination of Jhon Cordoba, Levin Öztunali and new signing Bojan electrified the 05ers' attack in their 2-0 win against FC Augsburg. Will this victory see the start of Martin Schmidt's side making a charge towards the European places?